Celebrate the rest of September with fairs, festivals, food and more throughout the state of Maryland. 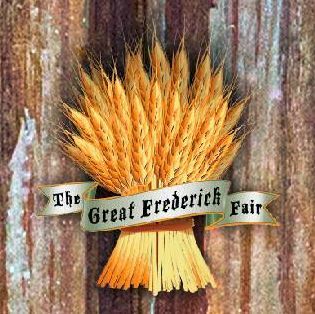 Description: The Great Frederick Fair, Inc. is one of Maryland’s largest county fairs. The fair features livestock, 4‑H/FFA, educational, home arts, and fresh fruit and vegetable exhibits along with over 150 commercial vendors. The nine day event is the single largest event held each year in Frederick County. Description: Crafters, vendors, children’s games, live entertainment, demonstrations. Fun for the entire family. Description: Experience Perry Hall’s “Spirit of Community” in a weekend of Fall Fun with Craft Vendors, Great Food, and tons of Family Activities! Description: Features tasting of local wines, wine seminars, continuous on‑stage entertainment, craft vendors, and a variety of delicious cuisine for sale. Free handicapped‑accessible shuttle service, farmhouse tours, Living History Center, exhibit buildings. Description: Over 150 Beers, wines and Schnapps highlight this all you care to taste German‑themed extravaganza! Join in the Beer Games with your friends and dance with the live music. 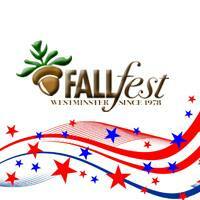 Description: Westminster’s City Fair/Charitable event, free admission, free parking, free entertainment. Description: Wine Tasting from hundreds of wines from around the world! Food, Arts & Crafts, Live Music! Description: The Old Town Bowie Fall Festival will be held on on Saturday, Sept. 26th from 11 am ‑ 5 pm (rain date is Sunday, Sept. 27th). Vendors of all backgrounds will be featured to showcase all that Bowie has to offer! Contact us if you have questions about attending or are interested in becoming a vendor! Description: Meet with home improvement and enhancement companies to help you with all aspects of your house, from the driveway to the roof all in the comfort of the Expo Hall at the National Guard Armory in Annapolis. AskHomesale.com provides real estate advice and information for home buyers, home sellers, and homeowners alike. Askhomesale.com is part of the Homesale Realty Family. The Homesale Family of Companies is the leading real estate company serving the Baltimore, Maryland, South Central and Southeastern PA real estate markets. Homesale Realty has more than 27 offices with over 1,200 REALTORS®. Homesale Realty’s footprint includes Maryland real estate offices in Baltimore City, Federal Hill, Fells Point, Westminster, and Timonium. Pennsylvania real estate offices include York, Lancaster, Wyomissing, Chambersburg, Gettysburg, Harrisburg, and Schuylkill Haven.